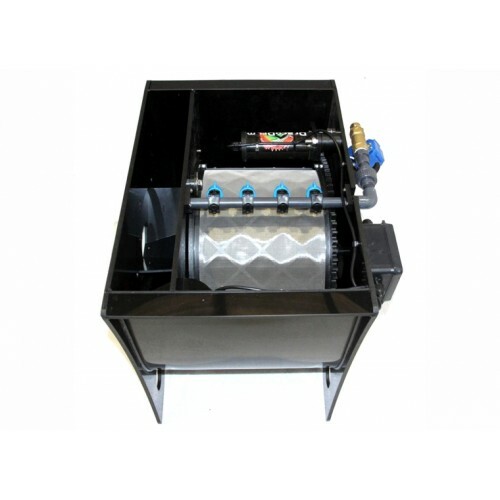 We are proud to be official suppliers of DracoDrum filters. All models benefit from remotely sited controllers that are able to start/emergency stop buttons and are also able to control and change the length of wash. LED indicators show the length of time between washes in minutes. Supplied with two leads - one to plug in to mains the mains supply (110v and 230v, auto selectable) whilst the second plugs into the drum. The status of the unit is then monitored via 4 colour coded LED's which is simple, yet effective. Due to the units being low voltage with sealed water valves along with drive units utilising an extremely low geared direct drive system mean that only 12 volts of electricity are ever anywhere near your pond water. 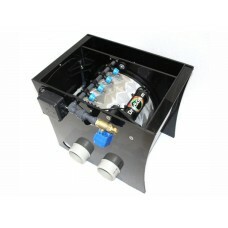 The units have been designed to run without the use of noisy, power thirsty wash pumps (although these are available). On standby the unit can use as little (and possibly lower) than 12 watts whilst in full wash mode only 35 watts. 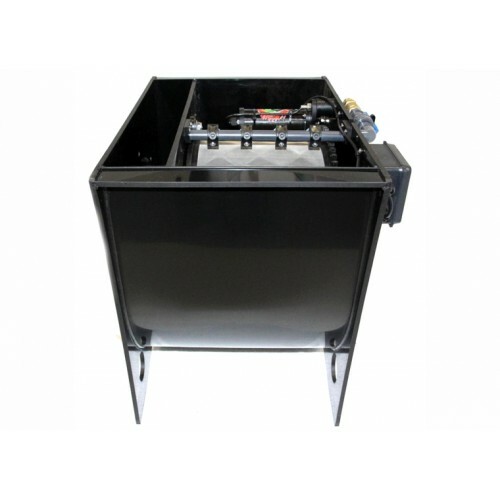 In fact, it is possible to run the system off a car battery for prolonged periods of time. Dimensions - 610mm wide x 560mm long x 581mm depth. Capacity - 3,000 Imp gallons per hour / 16,000 litres per hour in gravity mode (25% less in pump fed). Pond Volume - Approx 7,500 UK gallons. Twin 4" inlet and outlets.